We're doing a little marketing of the lab around Hampton Roads. We were helping out at the Freeplay table at Fantasci over the weekend, and ran a short video about the lab (also posted to youtube.) 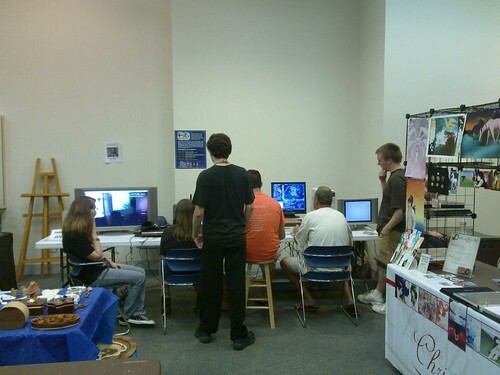 A few people asked about the lab, and promotions for the Freeplay retro and modern gaming event (Aug 7th, www.sevagaming.com for more info) went well. In addition to this, some other ads were distributed at a few places in Virginia Beach and Chesapeake. It was a good time supporting a local con, and I hope to do it more in the future. The HAMFest in September should be home to our next "booth." Rock the Fail Crane! » « www.rocktheskillcrane.com will be back shortly!